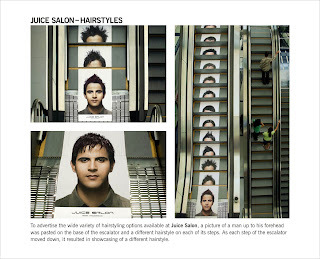 Brilliant use of an escalator for outdoor promoting haircuts. One dude, different styles on each step. Creative by Rediffusion DY&R, Mumbai, India.